Adults working with children in education and faith based settings have a crucial role to play in shaping the lives of young people and therefore, should act professionally. They are responsible for providing a safe and supportive environment, which secures the well-being and very best outcomes for children and young people in their care. 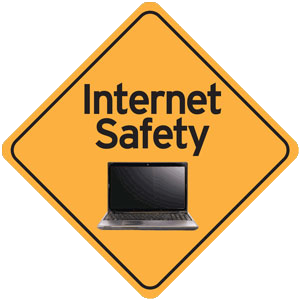 This guidance has been produced to help staff establish the safest possible learning and working environments. The aims are to safeguard young people and reduce the risk of staff being falsely accused of improper or unprofessional conduct. SAFFRON SOCIAL DEVELOPMENT GLOBAL FOUNDATION (SSDGF) is committed to the development, co-ordination, implementation, monitoring and review of safeguarding and child protection practices. 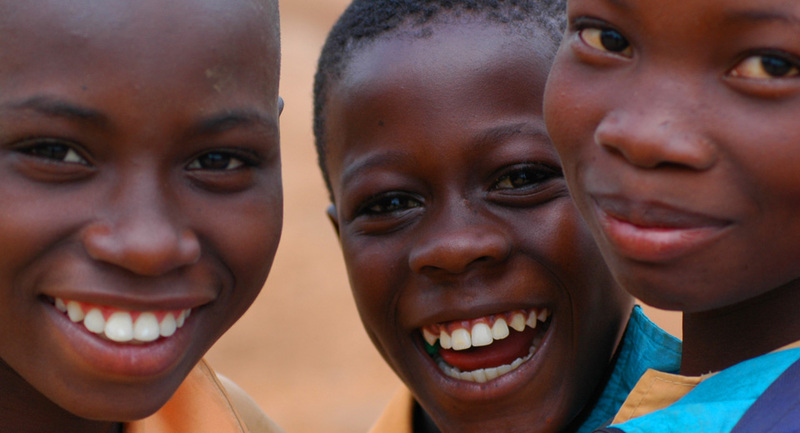 We believe that all children have the right to be protected from abuse, neglect, violence and exploitation so that they can survive, learn, participate, play and develop. As the director for safeguarding in education and faith Saffron SDGF, my role is to work assiduously with schools, churches and any other faith based organisations in safeguarding, promoting welfare of children and improving lives for better outcomes. In today’s world, children have become more vulnerable hence, safeguarding and protecting the Nigerian child from the monstrosity of abuse are fundamental. No week passes without an allegation of abuse of a Nigerian child in the newspapers; it has become a worrisome trend which requires a necessity for a swift and effective response to combat this scourge and stem the hideous tide of abuse and terror on children. 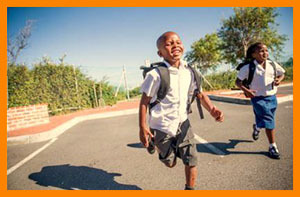 Our goal is to establish safeguarding and child protection policy in schools and faith based organisations, conscientiously improving the quality and increasing the scale of our child protection programmes through capacity building, advocacy, interagency collaboration and resource mobilisation, ultimately ending all forms of violence against children. To create an awareness on the significance of safeguarding and child protection. 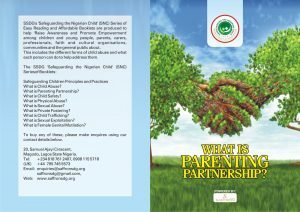 To educate and enlighten governing bodies, owners of schools, teachers in schools and faith based organisations, caregivers in institutions on their roles on safeguarding and child protection. Promoting safeguarding in teaching and learning. To enlighten them on the necessity of having a designated lead who will be the safeguarding contacts in schools. To sensitize them on what to look out for when working with children. 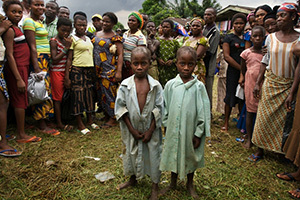 To educate children on their rights and responsibilities. To sensitize them on safer staff recruitment and the importance of keeping records. To ensure safeguarding and child protection policies are available publicly in schools and faith based organisations. To ensure they work with parents for the effectiveness of this policy. To educate and inform parents of their roles and responsibility in keeping their children/wards safe. To ensure monitoring and supervisory bodies effectively carry out their duties through inspections and regulations. To enlighten them to reach out to relevant agencies and monitoring bodies or necessary quarters should in case any allegation of abuse is raised. It is often said that when the meaning or significance of something is unknown, abuse is inevitable. So many of us are ignorant of the magnitude of the problem, trend, progress and challenges children experience or worse still we live in denial of it , either way we are still very guilty of looking the other way, consequently the damaging effects cast an ominous shadow on our posterity. 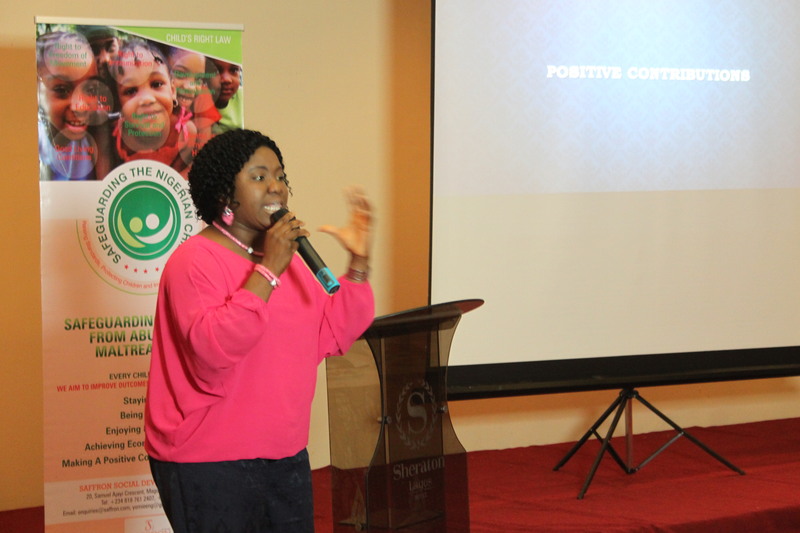 We will be the voice to advocate and campaign for better practices and policies to fulfil children’s rights and to ensure that children’s voices are heard and support effective implementation of best practices programmes and policies for children, leveraging our knowledge to ensure sustainable impact at scale. All staff should be able to recognise when a child may require safeguarding or child protection intervention and should know what to do in response to concerns raised about a child’s welfare. The SSDGF training and competence building programme, aims to support the development of shared understanding, effective communication and working relationships across all agencies. It is designed to improve knowledge and skills in the core areas of; recognition and action, planning and intervention, working together to make a family stronger and a child safer. 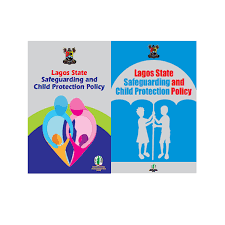 While the State Government & Child Centred Organisations have a lead role in Safeguarding and Child Protection, ‘responsibility must be shared by EVERYONE because children are safeguarded only when all agencies and individuals accept responsibility and co-operate with one-another’. Whatever your role in working with children, young people and their families, the courses are designed with you in mind. 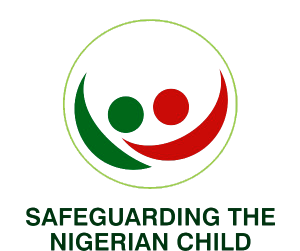 The SSDG Training Team have developed a complimentary programme of Core Courses, Targeted and Specialist Courses to meet the requirements to support learning outcomes recognised as essential through our research on training needs analysis, to equip organisations in effectively safeguarding and promoting the welfare of every Nigerian Child. We hope that all organisations, stakeholders, staff and volunteers who come in contact with children, young people and their families, can find something of relevance and interest in this comprehensive programme and we look forward to receiving your applications, participation in events and feedback. 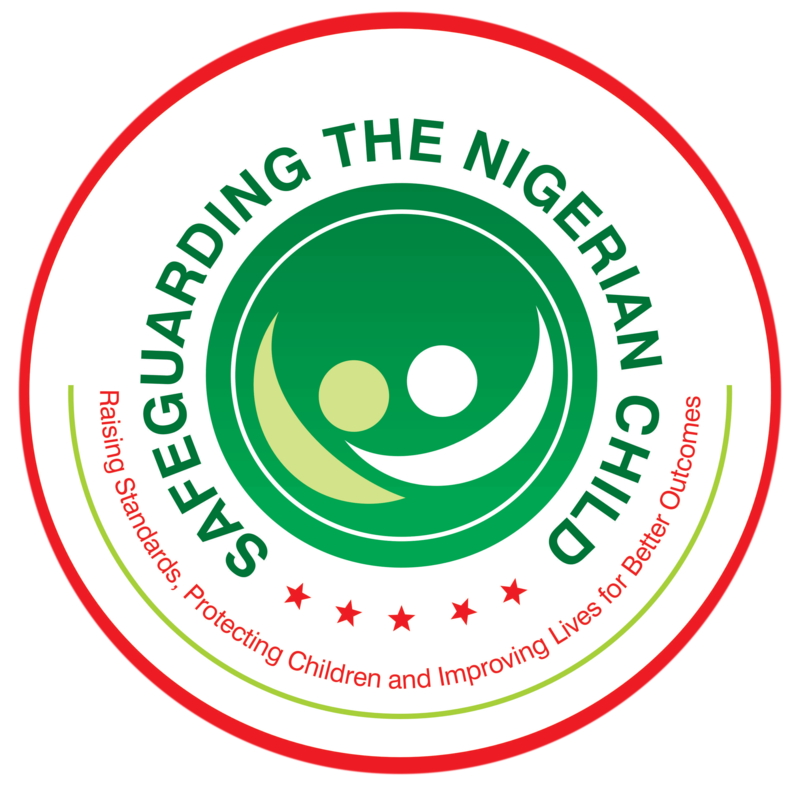 Safeguarding the Nigerian Child CHAMPIONS; with the mission to safeguard and protect every Nigerian Child! Our champions are trained and equipped to deliver unified support and advice on safeguarding children, child protection information and community-led training workshops, on issues surrounding maltreatment and abuse. They are ‘A Saffron change agent, creating positive changes in their communities. SSDGF has engaged with a wide range of Safeguarding the Nigerian Child Champions across Nigeria and also in the UK from various professional backgrounds, community leaders, faith organisations, the media, students in higher education, volunteers, government institutions, private organisations and other NGOs. Our champions will be included in our two day comprehensive Training for Trainers programme for our in-house consultant trainers, counselors, volunteers and commissioned trainers on delivering safeguarding, child protection training and promoting the welfare and rights of children. Supported by SSDF, every trained Champion will be able to hold a training programme to train at least 25 other persons in ‘Level 1 Introduction to safeguarding and child protection. SSDGF anticipates that participants in Champion-led training workshop will benefit positively from this project, causing a ‘Domino’ effect through our communities, faith and private organisations across Lagos, Nigeria and the UK. We ask that each hosting organisation that receives this training, partners with Saffron joining our project, becoming a change agent, creating positive changes in their communities, bringing about more awareness to child maltreatment, abuse, safety and positive parenting practices for better health and well-being for all our children. All organisations that come into contact with children should have specific safeguarding policies and procedures in place. This includes voluntary and community organisations, faith groups, private sector providers, as well as schools, hospitals and sports organisations. Discussion of this ’Social Problem’ has too often remained hushed and vague, and the linkages between different forms of child abuse are overlooked. Child Abuse and Maltreatment is a sensitive but unavoidable subject, however, the interests of culture and religion, in protecting outdated practices and preserving power networks, have all worked against child-centred safeguarding, and protection of our children. A genuinely progressive and effective safeguarding, and child protection system, should be judged on how effectively it helps children go above the circumstances of their birth and how it equips them to take control of their own lives. If you are being bullied you can do something about it! There is lots of help and advice around to help you. Your school should have a policy to deal with bullying and you have a right to ask a teacher for help. Talk over what to do with a friend, your teacher, your mum, dad or someone you trust.